Posted July 20, 2016 by Dr. William Myers & filed under General Dental Articles. 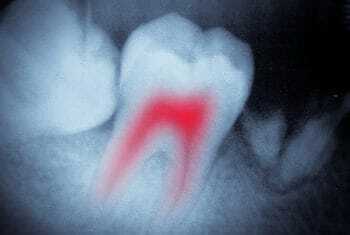 Root canal — two simple words that can invoke a whole lot of apprehension and sometimes even fear. But the truth is, if you’re experiencing tooth pain so severe that a root canal is needed, the procedure actually relieves the pain. But how do you know if the pain you have is root canal worthy? My Warsaw dental office is here to provide you with some of the top signs. If you identify with the symptoms above and you’ve realized a root canal may be what you need, you probably want to know what it involves. First, prior to getting started, your Warsaw dentist will numb the area to ease any discomfort. Once that is activated, the process can begin. Whenever someone experiences tooth pain, it’s a sign that something isn’t right, and it’s important to seek the advice and treatment of a dentist as soon as possible. If you’re having tooth pain, and especially if you think a root canal is what you need, call my dental office in Warsaw to schedule an appointment. We’ll evaluate what’s going on and work with you to determine best treatment to help relieve the pain.